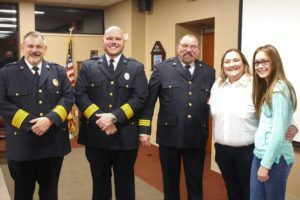 L to R: 2nd Lieutenant Michelle Simpson, 1st Lieutenant Billy Harris, Captain Kevin Jolly, and Major Rob Clarke, pictured with Chief Tommy Copeland, Deputy Chief Darren Ford, and Major Danny Heady. 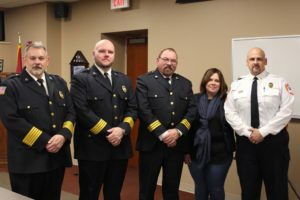 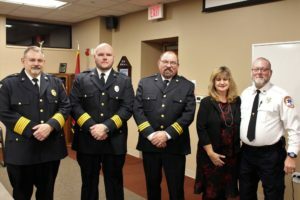 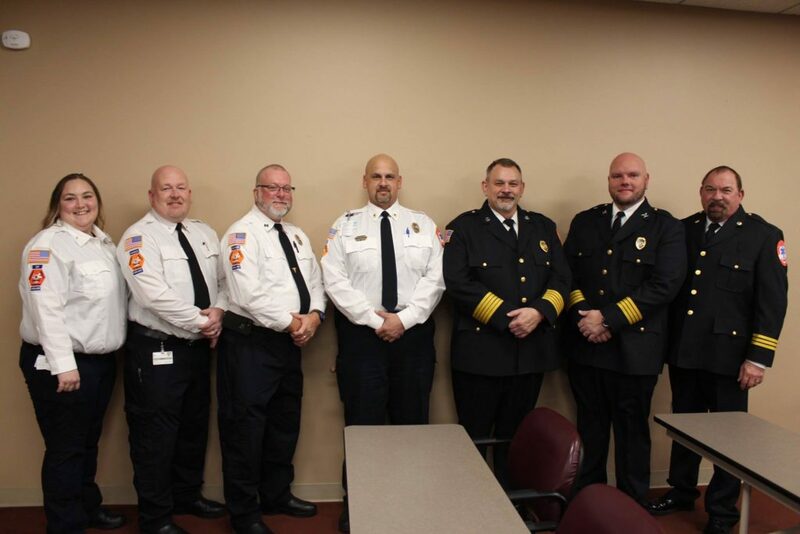 COOKEVILLE, TENN – In a recent Pinning Ceremony, EMS Chief Tommy Copeland, Deputy Chief Darren Ford, and Major Danny Heady stood with the families of four paramedics who were promoted to their new rank within the organization. Chief Tommy Copeland, Deputy Chief Darren Ford, and Major Danny Heady welcome Major and Mrs. 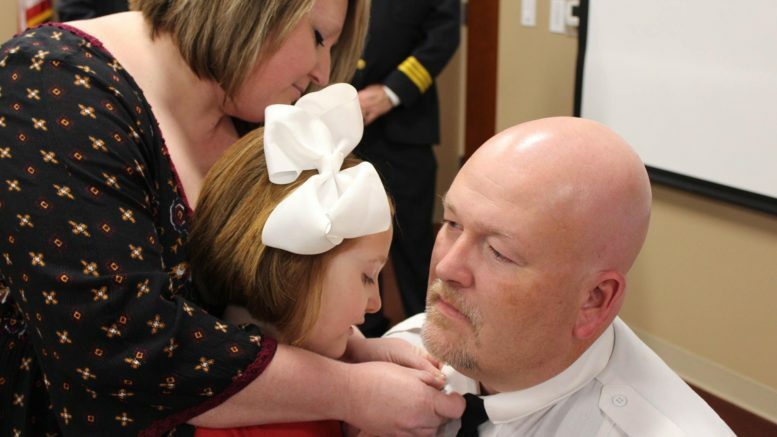 Rob Clarke to his new rank. 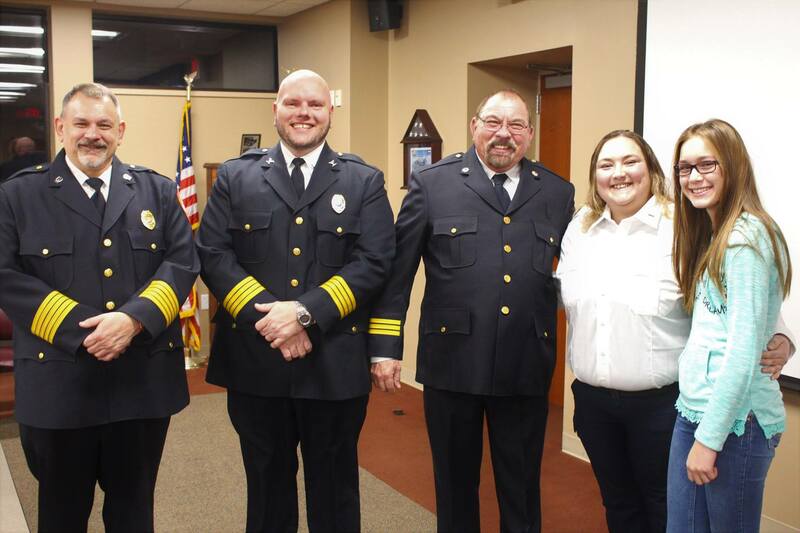 Chief Copeland, Deputy Chief Ford, and Major Heady welcome 2nd Lieutenant Michelle Simpson, and Mackenzie, to her new rank. Chief Tommy Copeland, Deputy Chief Darren Ford, and Major Danny Heady welcome Captain and Mrs. Sue Jolly to his new rank.